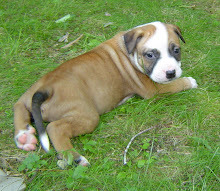 What can I say...it's a rainy day in Maine..and besides I had a request from another horse lover..how could I refuse. Plus, I actually love creating these patterns! 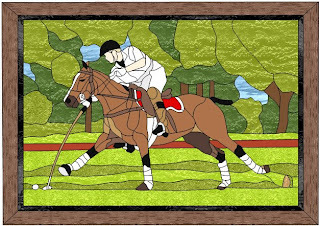 Hope you all enjoy the Polo Pony pattern. They actually aren't ponies, but that's what they're referred to on the polo field. We do have a pretty active polo group up here, which holds it's games not far from where I live. 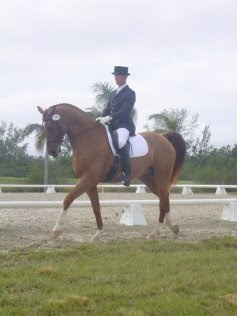 I used to ride with them when they trained inside at a local indoor arena...my horse would NOT have made the team. LOL. 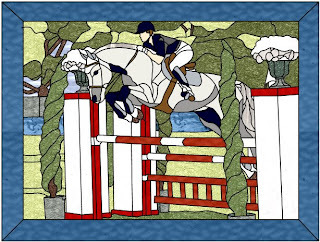 It is a very exciting, rugged sport, with game riders and horses! The inspiration for this design came from a recent vacation to Nassau, in the Bahama's. 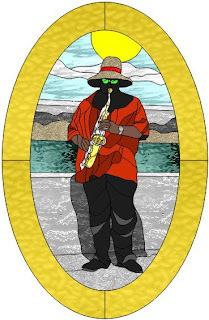 We happened along the pier to find a very talented gentleman playing a "mean" saxophone and enjoyed listening as we meandered down the sidewalk. I had to try to capture the sun, the environment and most of all the sax player. The colors will be changed in the shirt I'm sure...my version of Glass Eye doesn't allow me the flexibility to use actual glass manufacturers colors in my designs...ah well, when I'm rich and famous...currently waiting for that to happen..riiighhht. Hope you enjoy seeing the pattern! Well guys I've been at it once again, I've got more patterns stock piled than I'll live long enough to do. But I continue to work on the horse patterns because I'm addicted I guess..lol. Hope you enjoy seeing this new one. It was designed to be approximately 36" X 27"..and it contains 342 pieces..not too bad. Here tis! 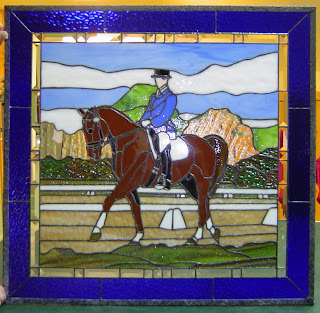 After a very long winter, and many other irons in the fire, so to speak, the Dressage Horse panel is finally finished. This panel is of copper foil construction, with an adj. 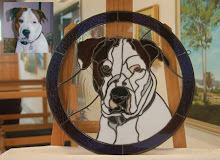 U Zinc came framing, which has been sponge soldered for a textured finish and patinaed with a black finish. I'm happy to finally unveil the finished product. It has been a total labor of love, but I'm happy that it's done and I that I can move on to a new project (or maybe many smaller projects). I certainly hope that you enjoy seeing it at long last, and please feel free to leave me a comment or feedback!